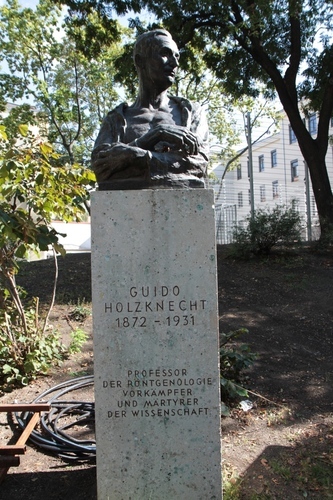 This bronze monument of Guido Holzknecht can be seen inside the Arne Carlsson Park in Vienna (between Spitalgasse and Wahringer Strasse). 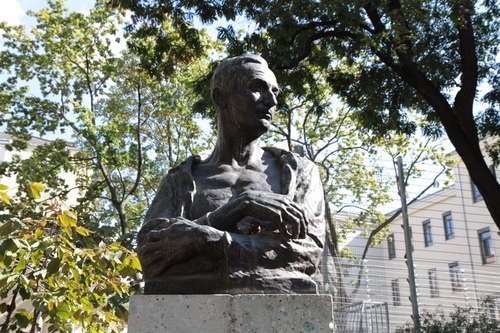 The statue was originally "made by Josef Josephu. Damaged during the Second World War, it was later restored incorrectly. 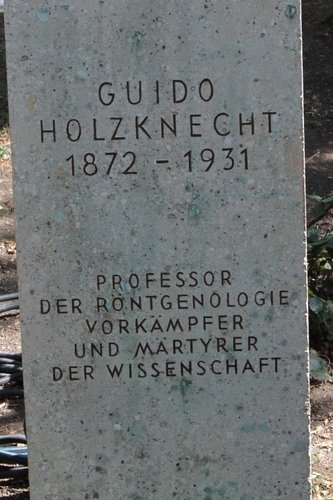 The family had commissioned Josephu to show missing fingers that Holzknecht had lost due to radiation poisoning. 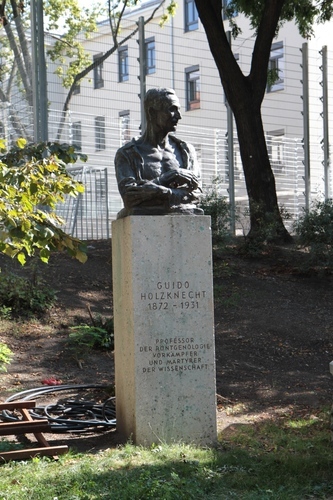 The restored statue shows all of his fingers intact. 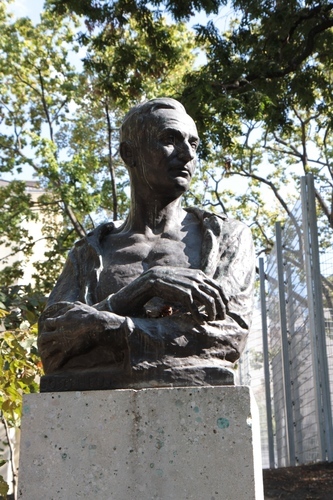 Additionally, the signature on the restore statue read JosephShue, who was not a sculptor - misspelling the original artists name"1.